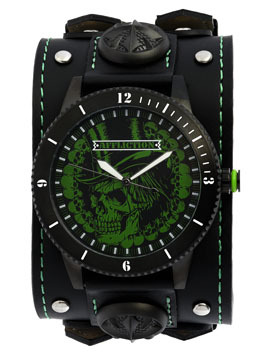 Affliction Top Hat mens watch features Affliction logo with a large green skull wearing a top hat surrounded by smaller skulls around the border. Swiss made movement. Mineral Crystal. Extra wide genuine leather adjustable band in black accented with green tool stitching along the border. Double strap closure. Custom hardware, fleur logo rivets and metal studs. Genuine Leather. Color: black with green stitching. The Affliction watches are produced in limited quantities. 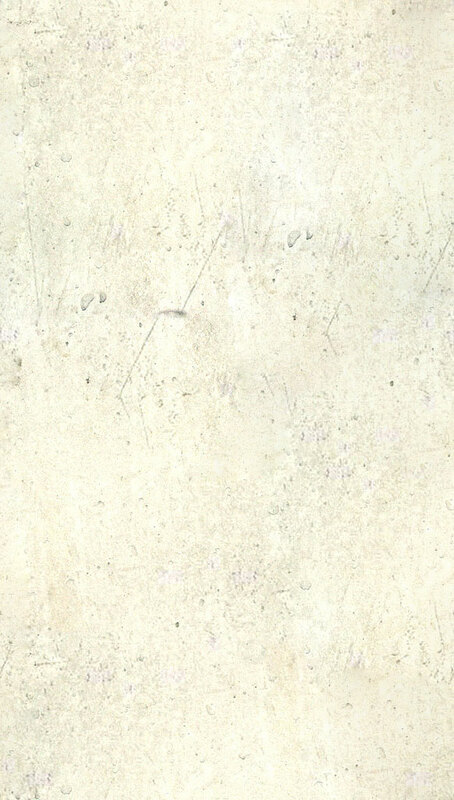 All sales of this item are final. No returns or exchanges.